Another well-organized race! David ran the Marathon and I ran the Half Marathon race. It was very cool walking to the start line (and at finish line) passing by all of the Air Force Planes! In addition, the flyover at the beginning was very awesome! The day ended up being very warm which made this race very very difficult as there was absolutely no shade during this race! That is really the only part I did not like. The race was also much hillier than I had expected as well which made it tough as we had not train well for this one! I would recommend this race as it sure makes you feel proud to be an American!! 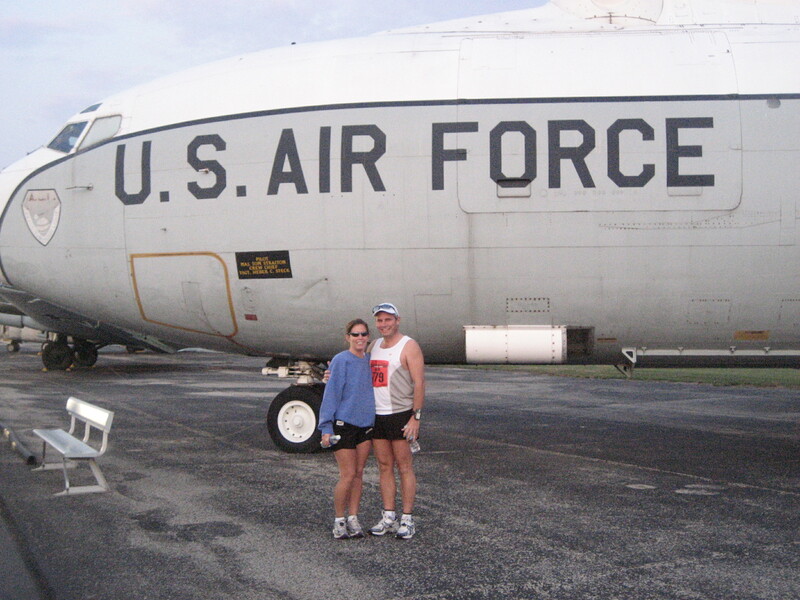 This entry was posted in All Marathons and tagged AFB Marathon, First Couple in the World to Complete a Marathon on Every Continent Together, Wright Air Force Base by TwogetherRunners. Bookmark the permalink.